B-Specific Naturally formulation contains a unique and complete blend of Orgen-B’s water-soluble B vitamins: thiamin, riboflavin, naicin, pyridoxine, folate, and pantothenic acid. 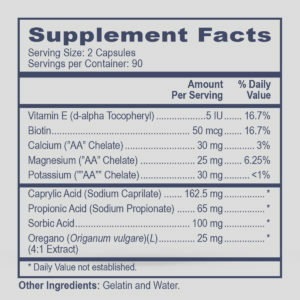 These vitamins are not synthesized by the body and must be supplied by the diet or produced by the microbiome. 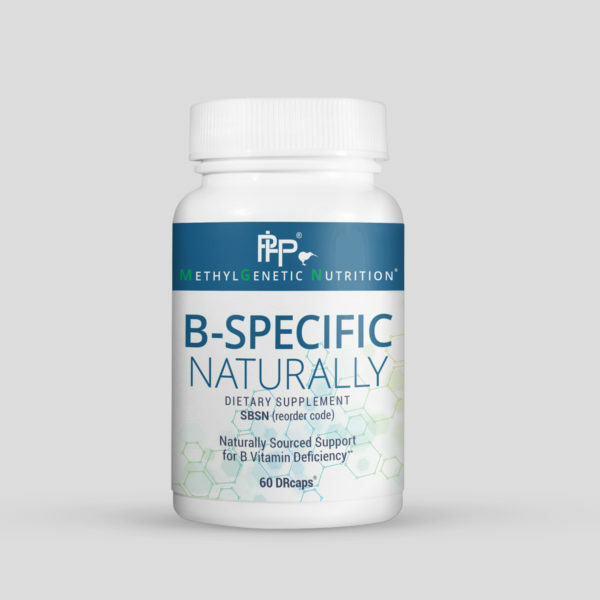 The B Complex is required for the metabolism of proteins, fats, and carbohydrates. 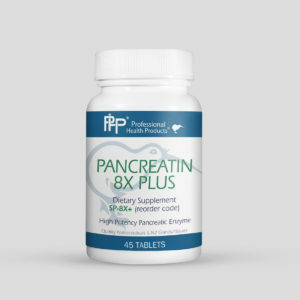 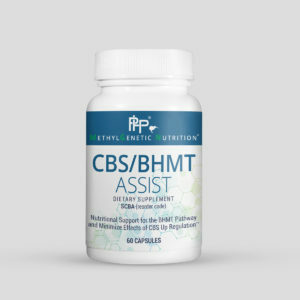 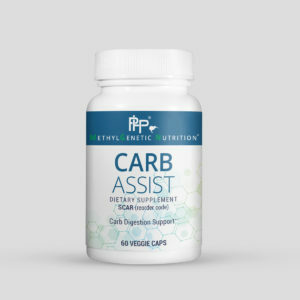 This complex also catalyzes enzymatic chain reactions by acting as coenzymes for the release of energy and has been demonstrated in clinical trials to help aid in stress management. 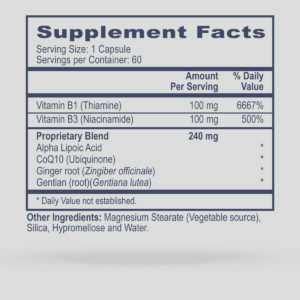 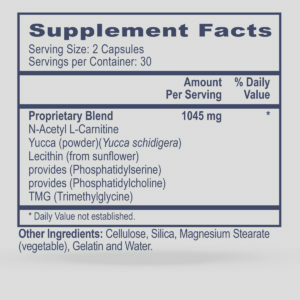 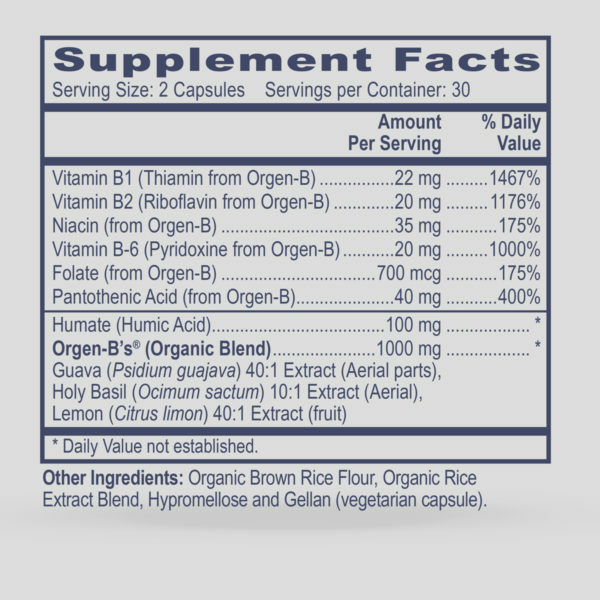 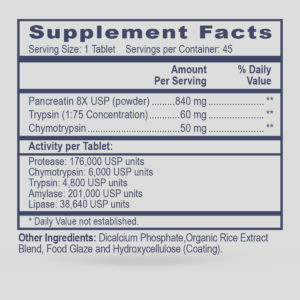 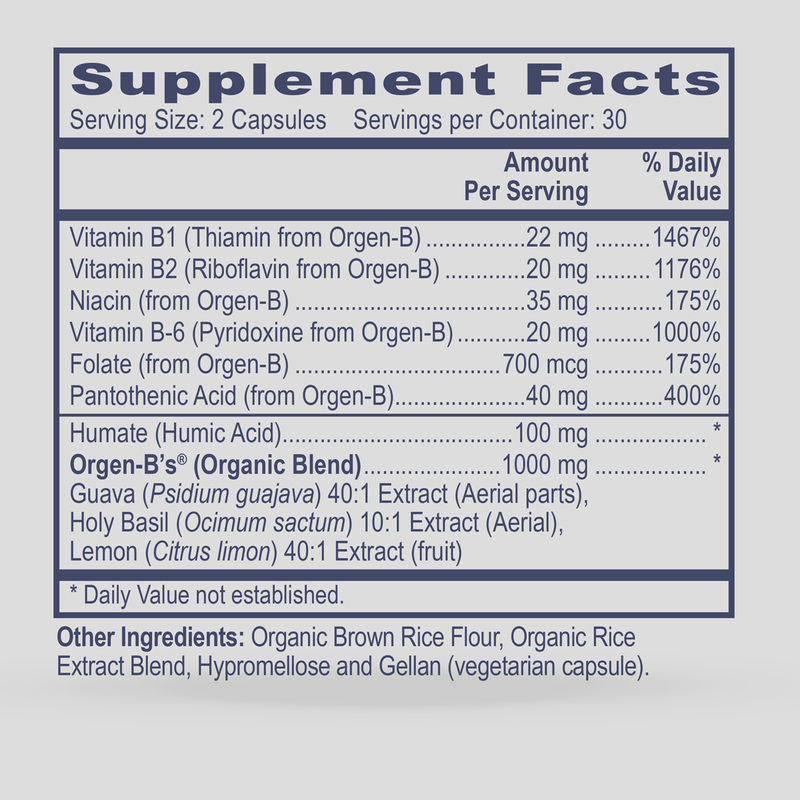 This formulation also contains Orgen-B’s proprietary organic blend, humic acid, guava, holy basil, and lemon extract.